The question was coming and Dan Mullen knew it. With Emory Jones playing in his third game of the season Mullen knew he would be asked if Jones would play his fourth game of the year against Florida State or if he would hold off and save Jones for a bowl game. Mullen has long contended that he would like to redshirt Jones this season. NCAA rules allow for any player to play in four game — including a bowl game — and maintain their redshirt. 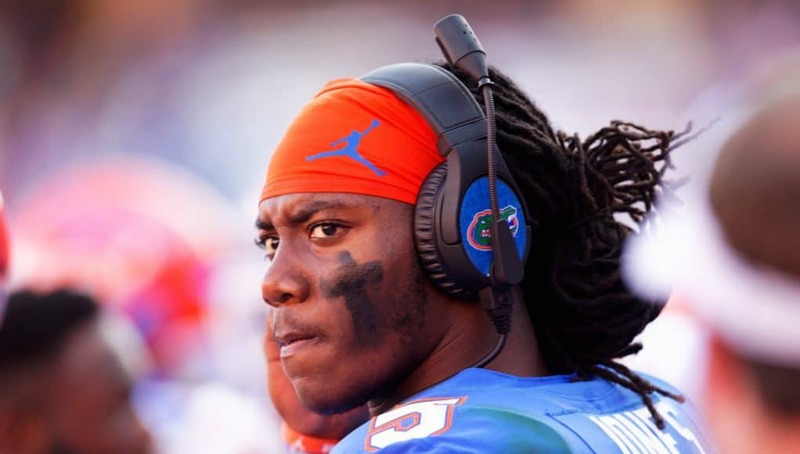 Jones can play in one of Florida’s final two games and keep his redshirt. 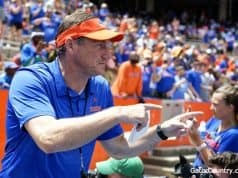 However, Monday of rivalry week isn’t when Mullen is going to reveal that decision but what can we gather from what Florida’s head coach said when asked? Mullen is right. 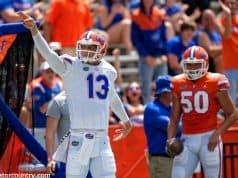 Kyle Trask’s fractured foot changed the way they treat Jones. If not for Trask’s injury it might have been Trask that replaced Jones and played the rest of the game against Idaho. That would have allowed Jones to play against FSU and get him live experience in a rivalry he will play in the rest of his career as well as the bowl game and those ever precious bowl practices. That’s not reality though. Reading between the lines it sounds like Mullen would like not to have to use Jones against Florida State but he’s fully aware that his hand could be forced. If Feleipe Franks helmet were to come off during a play — NCAA rules state he would need to miss the next play — Florida could easily snap the ball to Kadarius Toney in the wildcat. What if Franks’ sustains an injury that requires longer than just a play? A series? Maybe you can get away with running Toney and Lamical Perine in the wildcat for a series, but could you do it for a quarter, or more? Probably not. That’s why Jones will take all of the second team reps and some of the first team reps this week in practice. Jones played more than he had all season last Saturday. He looked good moving the offense for the most part. There was an absolute beauty of a pass that was dropped deep down the field and Mullen was happy with the way his freshman handled himself. Ultimately it boils down to this. Dan Mullen hates losing more than he likes winning. If he believes that playing Emory Jones gives Florida a schematic advantage to win that game he’ll play Emory Jones. If Florida gets to a New Year’s Six Bowl game and he thinks playing Jones in that game, even if he played against FSU, will help Jones’ progression and help Florida win the game he’ll play Jones in both, redshirt be damned.